Recently, Dr. Ian Shepherd, Associate Professor in Management Sciences, was honored with a Blackboard Catalyst Award. You can read more about it here. We are thrilled for Dr. Shepherd and grateful for his dedication to innovative teaching in the classroom. We thought you might like to hear a bit more from a few of the students who were in his class and hear about their experience using the ipad in class. 1) How did you use the ipad? Was it in place of a textbook? Did you use it everyday? 2) Did you each have your own? 3) Do you feel using the ipad enhanced what you learned inside the classroom? 4) What did you like best about using the ipad? 5) What didn’t you like about the ipad? “I didn’t like using excel on the iPad. It’s not the same as on the computer and took longer to perform the same tasks. 6) If you don’t currently own an ipad, would you purchase one to use in your future classes? 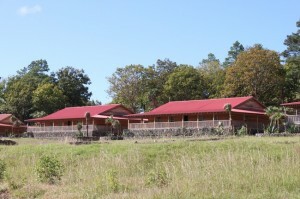 Mission Lazarus focuses on four specific areas: agricultural teaching, medical clinics, educational programs and schools and spiritual formation ministries. To read more about Mission Lazarus, visit their website here. What was the purpose of the trip? What did you all do while there? 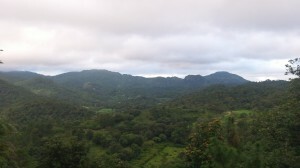 The Griggs Center sponsored our trip to Honduras to scout potential locations and partners for future global business programs for COBA students. Jim Litton, Director of the Griggs Center, invited Darryl Jinkerson and me to join him in visiting with Jarrod Brown and the Mission Lazarus staff on-site in the Choluteca area of Honduras. We spent time touring the Mission Lazarus facility, meeting with Jarrod to discuss possible opportunities, and getting to know the Honduran people and culture. We paid particular attention to ways in which COBA students interested in social entrepreneurship might be able to work with Mission Lazarus in some kind of short-term internship opportunity. Future plans are still in the embryonic phase, but this trip gave us tangible data by which to assess the possibilities and inspired us to work to provide students with opportunities in Central America. Why do you think it’s important that are students have the opportunity to visit and work with Mission Lazarus? 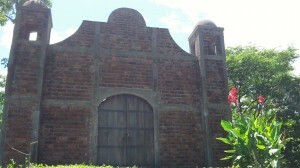 Mission Lazarus is an amazing place, led by a dynamic team. Jarrod is a visionary leader of the highest caliber, and he has surrounded himself with talented people and supporters who help him implement his dream of transforming an impoverished nation for Christ. He has taken several otherwise traditional organizational models–evangelistic missions, for-profit business, rural health care, and education–and combined them in a way that is unique and all-encompassing. I think COBA wants its students to have access to and be inspired by this kind of leadership. More than this, Mission Lazarus fits perfectly with the social entrepreneurship emphasis in the Griggs Center. What do you hope our students learn from the class? Our goal is to put together a multi-week program that combines stateside coursework with an internship at Mission Lazarus focusing on social entrepreneurship in the developing world. If we are successful in making this offering happen, we think it can be a flagship program for the Griggs Center and give students real-world experience with social entrepreneurship. Ultimately, I think much of what students could learn will be internal: the experience we hope to create will help them find out who they are and what really matters to them. If you are interested in learning more about this opportunity or the Griggs Center for Entrepreneurship & Philanthropy, feel free to send an email to coba@acu.edu. We are thrilled to announce the official opening of our Springboard Accelerator, a part of the Griggs Center for Entrepreneurship & Philanthropy. 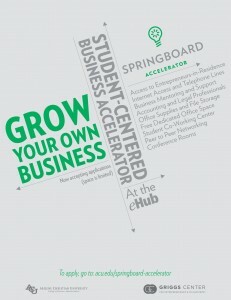 The Accelerator, located in the eHub at the Moore House (across the street from Nelson Hall), was created to provide office space, mentoring, support, networking and basically everything a student created business could ever need. If you are a current student interested in applying for space, or know of a student that would be interested in learning more about the Accelerator, the eHub or the Griggs Center for Entrepreneurship & Philanthropy, please click here. The College of Business Administration is excited to announce our Fall 2011 Distinguished Speaker Series special guest. 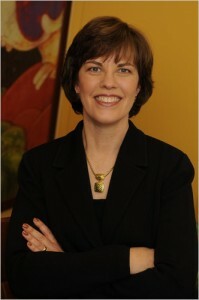 On Thursday, November 3, Cheryl Bachelder, the President of Popeyes Louisiana Kitchen and chief executive of AFC Enterprises, Atlanta will be visiting our campus, teaching in a Consumer Behavior course, engaging students in one-on-one mentoring conversations and will speak at luncheon in the Hunter Welcome Center. We couldn’t be more thrilled and honored to host Mrs. Bachelder. Take a few minutes to read more about her in this recent New York Times article and here, in this article in the Franchise Times Magazine. Mrs. Bachelder has worked for Proctor & Gamble, RJR Nabisco (general manager of the LifeSavers division), and Domino’s Pizza. We are looking forward to hearing from Mrs. Bachelder and we hope you can join us for lunch on Thursday, Nov. 3rd.